If you’re looking for great 2019 Black Friday and/or 2018 Cyber Monday drone deals then I got you covered! DJI and some of my partners are running some big discounts on their products & courses which you can see down below. Personally, I am stoked to pick up DJI’s Trello drone (currently $79) since my kids are always begging me to let them fly ;) And I am happy to . share that my very own drone course over on CreativeLive has a big discount! A super awesome, fast, small drone that can shoot 4K video! Same as above but with a bunch of extras! A great drone for those on a tight budget. Need steady video? Check out this deal. I love this drone. So much so I’m finding it hard to let go of it even though I have the newest version. Need a drone for a child or just something fun to mess around with? This would be perfect and it’s the one I personally bought already. Great deal for those looking for looking to fly with that first-person view. A great drone with a great camera and it has 6 props for added peace of mind. Lots of space at a great price. They also have deals on other sizes. This is a more advanced drone course perfect for those looking to take their drone game to the next level. Use code “FWID100” for $100 off the course. 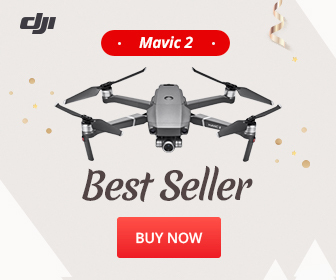 Looking for more deals or drone gift ideas? Then check out my 2018 Christmas Holiday Drone Guide which features over 50 suggestions! Leave a comment down below letting me know which deal most interests you or if you have a drone deal that we should know about! Finally, if you feel like supporting From Where I Drone I would be grateful if you considered using any of my DJI, Amazon, or Adorama links if you happen to decide on buying something. I will make a small commission at no extra cost to you. Thanks so much in advance for your support in this way, happy flying!